Jeep Factory Warranty provides 3 years or 36,000 miles of bumper-to-bumper coverage that includes the cost of repairs for all electrical and mechanical components excluding wear items like brake pads, chipped windshields, and soft interior trim pieces. When the factory warranty expires, the engine warranty continues for another 2 years or 24,000 miles. Jeep offers three factory warranty options for buyers who want extended warranties to offset the cost of future repairs. What do Jeep Factory Warranty Options cover? ​Mopar is the brand name Jeep uses for its factory parts and extended warranties. Mopar Maximum Care is the most comprehensive repair plan Jeep offers. It’s the coverage Jeep mechanics tell their families to buy. ​It covers the engine and all internal engine components, 4x4 transfer case, cooling system, air conditioning, electrical, computer, and all other parts not listed on the exclusionary summary to the right. The only things not covered. 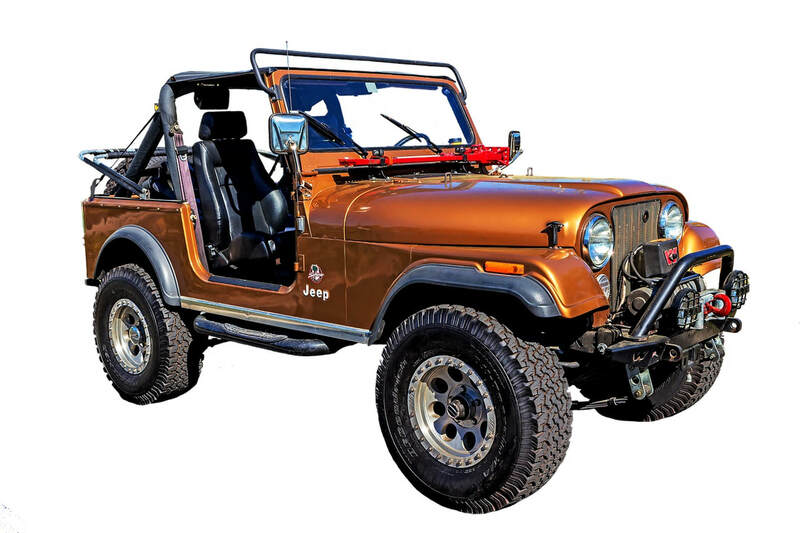 ​The Jeep Added Care Plus plan covers the most common vehicle repairs including engine, transmission, driveline, steering, power windows, power door locks, water pump, fuel pump, radiator, starter motor, generator, suspension and more. The plan has an extensive list of covered components and includes alternate transportation during a breakdown, however if a part malfunctions that is not on the list, then you’re out of luck, and you will have to pay out of pocket in full. 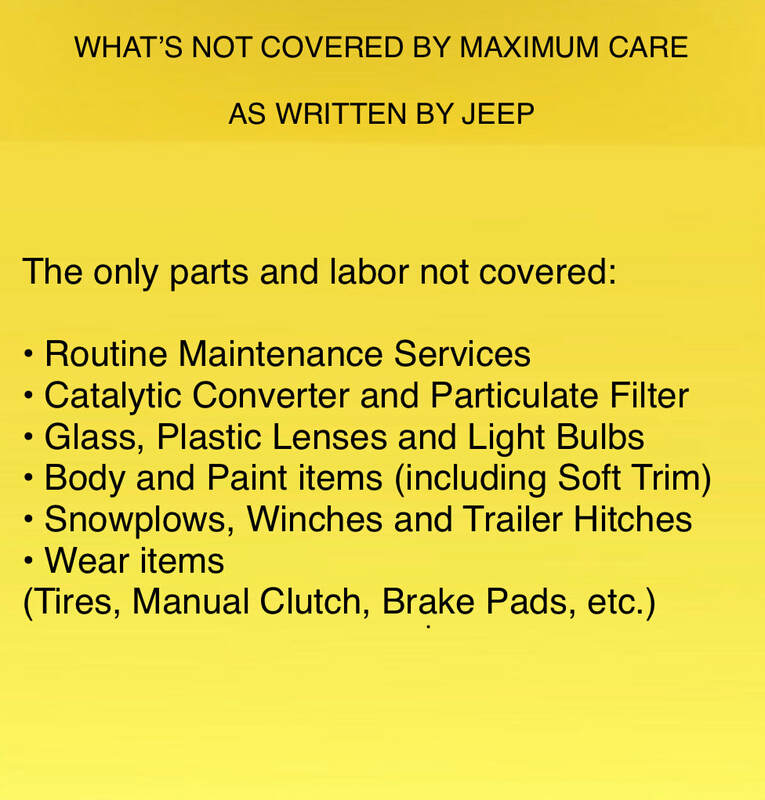 Added Care Plus may be a safe choice for a moderately equipped model, but if you buy a fully equipped Jeep loaded with all the modern tech then Maximum Care is a better choice. ​The Jeep Powertrain Care Plus plan covers the vital components of the vehicle including the engine, transmission, driveline, steering, and air conditioning. What is the repair copay? The Jeep factory warranty options have three levels of deductible copay: $0, $100, and $200. The $0 copay sounds great until you consider the difference in upfront cost. The $100 deductible plan is over $1000 less to purchase, therefore F&I Tools analyst consider the $100 copay Mopar Maximum Care Jeep Factory Warranty option the best bang for the buck. How much does a Jeep Warranty cost? Jeep factory warranty options may vary depending on vehicle usage and location. Jeep Unlimited Mileage plan to replace expired Lifetime Warranty!